Hall Estill, Oklahoma’s leading law firm, with offices in Tulsa, Oklahoma City, Denver and Northwest Arkansas, announces the addition of Matthew S. Campbell as a shareholder in the firm’s Tulsa office. Joining the firm as a 20-year attorney with experience in private practice and in a Fortune 500 Corporate Tax department, Campbell’s practice at Hall Estill will concentrate on tax and international tax law, as well as corporate services, specifically in the mergers and acquisitions area, serving clients nationwide. 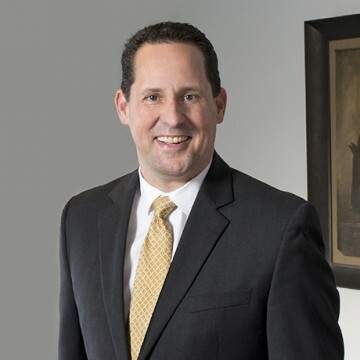 Prior to joining the firm, Campbell was a Tax Director for TechnipFMC plc in Houston and previously worked at professional services firms Ernst & Young, BKD LLP, Aronson & Company, and KPMG LLP. Campbell earned his J.D, with distinction, from the University of Iowa College of Law and received his LL.M in Taxation from the Georgetown University Law Center. In addition, Campbell is on the advisory board for Arts for Healing, a 501(c)3 entity. Founded in 1966 in Tulsa, Okla., Hall Estill is a full-service law firm with clients ranging from Fortune 500 corporations and medium-sized companies to nonprofit organizations, emerging businesses and individuals.More than 150 top lawyers and legal professionals work in the firm at offices in Tulsa, Oklahoma City, Denver and Northwest Arkansas, assisting a diversified base of local, regional, national and international clients.